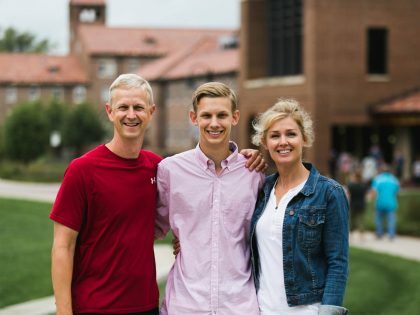 The Office of Parent Relations is here to be a resource for you as you seek to stay in touch with your student, keep up to date with the happenings at Northwestern, and connect you with people and departments who can address specific issues and concerns. As parents you have laid an essential foundation for your sons and daughters, and we want to partner with you on all levels as you release them into God's care and watch them build upon that foundation. Wise insight on how to help your student make the most of this college experience. Stay up-to-date on parent activities and other Northwestern events. Resources for for parents as they support their student at the University of Northwestern. Just toured University of Northwestern-Saint Paul today with a couple of my children looking at it as a prospective college. It was shockingly beautiful and serene. Almost like walking into a fairy tale. Our tour guide was very friendly and helpful. The grounds and buildings are gorgeous and I (being a devote Christian myself) was thrilled that they work to continue the Spiritual growth of their students in God's Word. They even require all professors to sign an affidavit of Faith. (Which since a huge amount of college students leave their Faith behind is at the top of my priority list! Yes above my students education or even physical health I place their Spiritual health and Faith in God and have told them this.) Being a Christian and believing in Heaven and hell how could I not? I really can't think of any cons to this college with the information I currently have. A+ They also have their own private island with bridge access. Congratulations! You've been admitted to Northwestern. Wondering what you need to do next? We want to make the transition easy for you and your family. 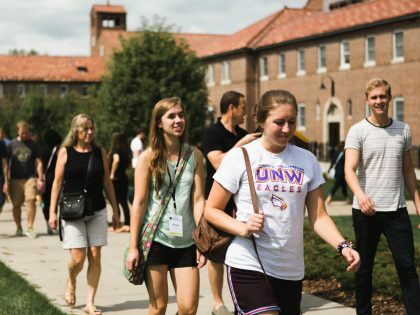 Parent resources for their first year student at University of Northwestern including ideas for before classes begin, the first month, and the end of the semester. Resource list for parents to stay connected including recommendations such as Moms in Prayer, Parent E-news, Resources for Parenting College Student and prayer requests. Your financial support encourages Northwestern students. Learn how you can. The Jennifer McLoughlin Benevolence Fund supports students in difficult circumstances and emergencies.